Who wouldn't want to take a luscious bar of chocolate with them wherever they go? We've now made it easy for you to keep a mouth-watering chocolate soap with you! Our Chocolate Breakaway soap is perfect to keep in your gym bag, for traveling and your purse. Each plastic clamshell contains 6 squares of soap that can keep you prepared with a fresh, portable travel soap anywhere you go. 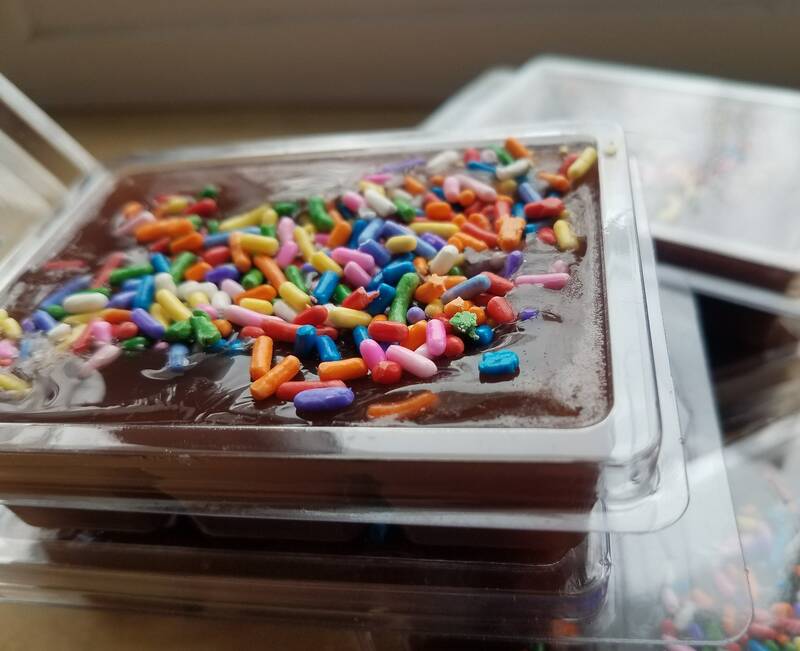 Almost 4 ounces, our Breakaway Bar is scented with our delicious Candy Bar oil and sprinkled with real candy sprinkles. So much fun, and smells heavenly! We offer First Class shipping for this, however as always we offer combined shipping for multiple orders. You'll receive 1 plastic clamshell soap containing 6 breakaway squares with this listing.